It’s almost here! November 10th at the San Antonio Humane Society! Fun for all of the family, even the four legged ones. But don’t tell the cat! Come out and support VA Dogs, as well as the San Antonio Humane Society, K9 Country Club, and numerous other organizations in San Antonio. We had a good time at Battle Buddies Classic this past weekend. The weather was warm, and so were the people who participated in the event. We would like to extend our gratitude to the Nimitz Foundation for having us again, as well as to all the volunteers who made the event possible, and the staff at the National Shooting Complex in San Antonio. Congratulations to the Schreiner University Shooting Team for taking 1st and 2nd place in the team competition. 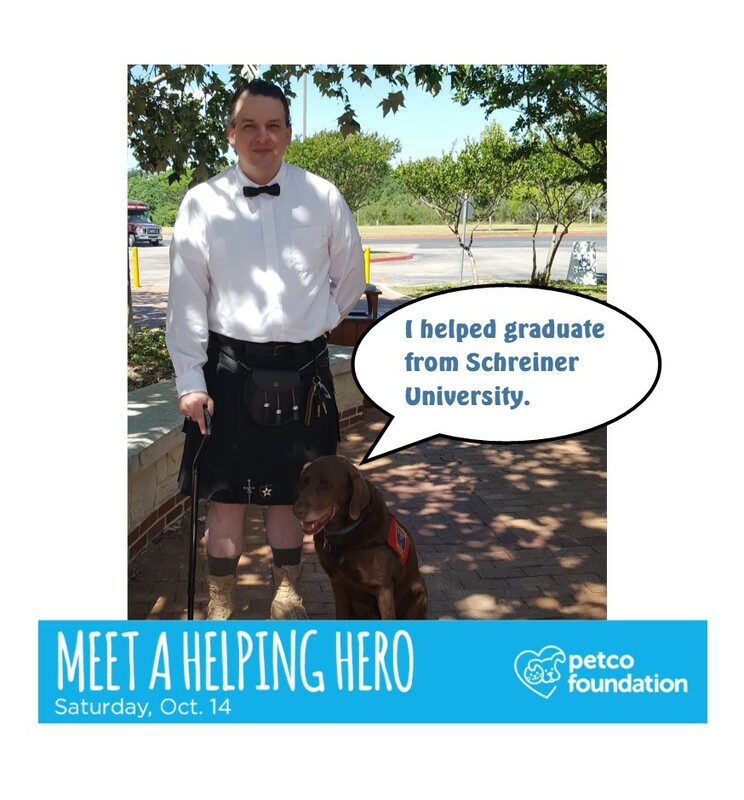 Join us in San Antonio on the 14 of October at the Petco store located 18138 San Pedro Ave Ste. 120 in San Antonio. Find out what we do, who we help, and meet a couple of our four legged heroes in person. The Battle Buddies Classic has come and gone. Please enjoy the pictures from the event. We will see you next year!